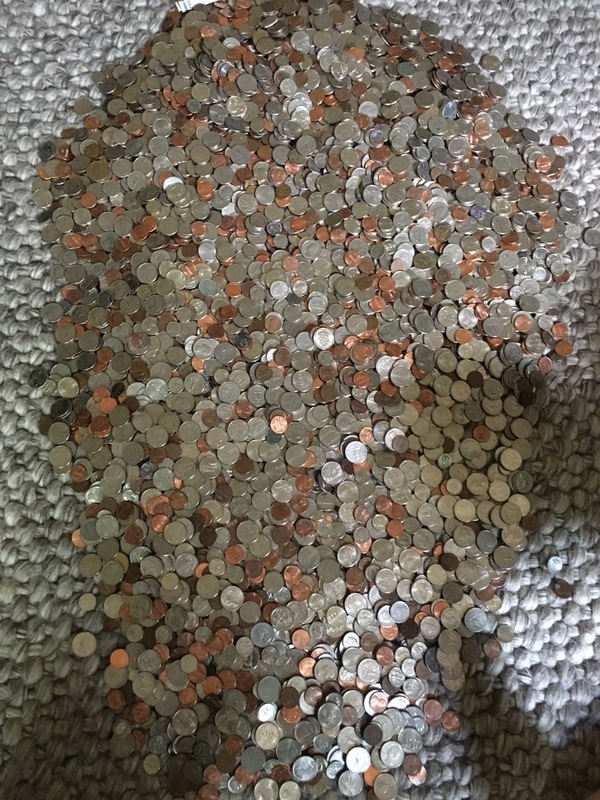 Every three years or so we go to bank with our change. We use a gallon glass water fountain bottle to collect it. We all guessed at the amount and no one was even close! 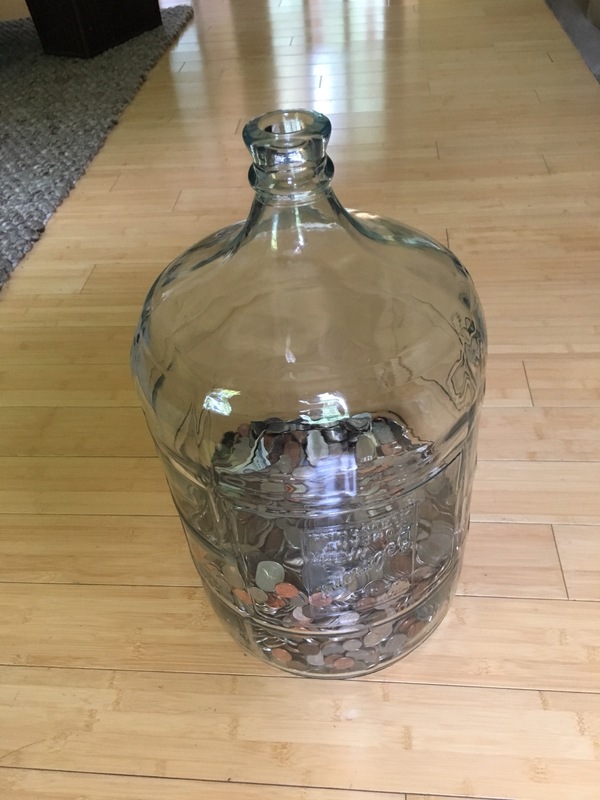 6″ of change equals over $800!